Our Story - Episode 1: Why a backpack was important in developing high-end microphones. After a few years as a Project Manager in manufacturing microphones for a leading European manufacturer, Austrian Roman Perschon knew what was good. And what wasn't. He knew it was good to be able to develop at the highest technical level, to refine and experience, to see something realized from a sketch on a piece of paper and a vision in his mind. He knew it was good to inspire and organize people and bring a network to life that ensures smooth processing of ideas from the manufacturing stage to the user. And he knew that the anonymity and bureaucracy of corporations that often swallow up the best ideas wasn't good. Roman prefers a direct approach and this is why he wanted to create something of his own. He wanted to build microphones that do not swallow up the best ideas but have them built-in. The story continues with Roman quitting his job and packing his backpack. As he enjoys traveling around the world he started his quest looking for people who would develop, build and support his idea of high quality microphones. Roman found these people. They listened to him and found his vision so courageous that they wanted to work together with him. First and foremost was the young Chinese fellow, Ken Yang, who shared Roman's passion for traveling and ambitious ideas. Ken who had grown up in Sydney is the second generation owner of one of the largest Asian microphone manufacturing bases and he recognized the opportunities and agreed to make his know-how and one of the most modern production facilities in the world available. And so a brand was born out of a vision and a backpack trip – and Roman named it LEWITT. Episode 2: Why not every beginning is hard but has a great deal to do with patience. 2009 was an exciting year for Roman and his LEWITT brand. For the first time, his ideas and the vision of his technical team from Austria took shape and were to be put into production. The team did this, one step at a time. The results were the first prototypes that were tested by technicians and selected users over a couple of long months. Patience was key here. Unfortunately, patience is not one of Roman's strengths. But he knew it would take time to cure childhood diseases too. And he wanted to take that time. Everything was ready in the fall of 2009: the small but fine product line was ready and wanted to be seen and especially heard – to be heard genuinely, authentically and memorably. Episode 3: Look, look! It's a microphone! NAMM in Anaheim, USA and Prolight+Sound in Frankfurt, Germany are two of the most important music trade shows worldwide. And this is just where Roman wanted to launch the LEWITT products in January 2010. Thousands of visitors came, looked and were amazed. And Roman had something to listen to. For instance, he accidentally overheard a conversation between two producers who were discussing the crystal-clear sound of LEWITT microphones, and how they continued to talk about the need for a good microphone in a studio or at a live performance. So he approached the producers and started talking with them. He wanted to support them and musicians so he could experience even more of their needs, their visions and their passions because one has to listen well to be heard in the industry. Inspired by so much drive and LEWITT's new products, they agreed to test the microphones and share their experience with the whole world in authentic videos. Episode 4: LEWITT goes around the world. After LEWITT's products found such great appeal with well-known producers and musicians, it was time to take the next step. Roman again packed his backpack and started out on another trip. He spoke with many people who specialized in marketing and sales of professional audio equipment and he was convincing everywhere he went. 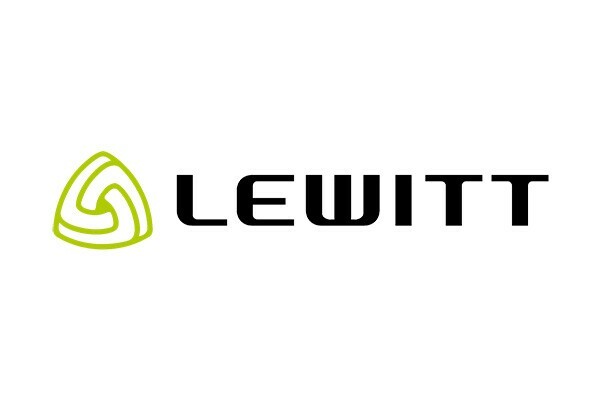 By 2011, LEWITT microphones were available in Europe, the USA and South America. And the microphones started traveling around the world too. For instance with Derrick Wright, who supported Adele on her world tour. They were at BMI for the CMJ Music Marathon in New York and at the Michael Jackson Tribute Concert in Wales. And they were there at countless other concerts, recording sessions and events with many other artists on stage, in the studios and in concert halls. And this makes Roman and all of us at LEWITT very proud and satisfied because in the end it is not just about the microphones but what these microphones create.